17 days. 15 sports. 105 medals. This year’s Games in Pyeongchang, South Korea, is bringing all things ice, snow and just downright awesome back into the limelight. If you are an Olympic enthusiast like myself, you will probably already have your schedule ready and raring to go. If you are not, here is a quick guide of what to look out for, from the weird and the wonderful, to what promises to be an enthralling three weeks of sport. My advice with the Winter Olympics is to have an open mind. Sport can be captivating in so many different ways. Whether it’s the drama of extra-time in a football match, or a last-minute drop-goal in rugby. It’s the exact same with winter sports, you just have to give them a chance to show you what they can do. And with the variety on offer it’s hard not to find one that appeals to you. Alpine Skiing is a enthralling race against the clock. The downhill is considered the blue ribbon event of the Games, with plenty of big names like Lindsey Vonn back in the spotlight. Freestyle skiing is as extreme as it gets, watching skiers and snowboarders battle gravity, performing flips and tricks with leaves your mouth wide open. Always worth a watch. Ski Jumping. Just sit back and be mesmerized by the people that are daring enough to do it. Curling, a personal highlight for myself. Just give it a chance. I promise it won’t disappoint. Speed Skating is an art form on ice. You have the action pack Formula 1 style short track speed racing, which can be both heartbreaking and incredible. Arguably the most entertaining of all sports, definitely one to watch out for. Figure Skating caught my eye in Sochi. I was never impressed or attracted to watching it. After multiple viewings of Blades of Glory, and now an avid viewer of Dancing on Ice, I won’t be able to take my eyes of it this year. It’s beautiful and dazzling to watch. Bobsleigh, Skeleton and Luge. It’s mad! Why wouldn’t you want to watch? Snowboard and Ski Cross. Yes, yes, yes – a thousand times yes. Its action packed, fast and electric. It’s a four-person race on snow. It produces tight finishes and showboating to the enth degree. A MUST WATCH! Ice Hockey. I like many, become a hockey superfan during the Olympics. It doesn’t matter if you are a NHL follower, the Olympics produce some epic clashes. USA vs Canada is a must watch if it comes up – just search the Vancouver 2010 final! Nordic Skiing. Possibly saved the best till last. I gave it a go last Games and fell in love. I argued that if I can watch Mo Farah run round a track for 10,000m, I could watch people ski, and sometimes shoot and battle it out. It’s epic. Final Reason: It’s the Olympics! The winter games don’t get the same treatment at the summer games in the UK for obvious reasons. But it’s still the Olympics. The most glorious celebration of sport on planet earth. It produces the moments that live long in the memory, and has the power to put nations, unlikely heroes and sporting good into the limelight. Elise Christie – Sochi 2014 was utterly heart-breaking. 3 races, 3 disqualifications. I, like many, sat close to tears watching an athlete utterly destroyed by referee decisions. Her journey to recovery is breath-taking. From online abuse and nearly quitting the sport, she has returned with a bang. A world champion, world record holder and a Sports Personality of the Year nominee. GB Freestyle Team – GB Park and Pipe is an ever-growing group of young and experienced riders who are willing to try things no other athlete would dare try, and there is real contention in the events. With the heartbreaking loss of medal hope Katie Ormerod just two days before the start of the games, the gang are even more determined to grab medals. Skeleton and Bobsleigh Teams – Lizzie Yarnold got Team GB’s only gold medal in Sochi, continuing Great Britain’s tradition of shining in the women’s skeleton event, and with the men’s bobsleigh team doing as good as ever, there is real medal chances for the team. Women’s 2 person Bob Heats – Tuesday 20th Feb – Mica McNeill and Mica Moore. Dave ‘The Rocket’ Ryding – GB’s best alpine skiing hope. In January he launched into the spotlight with his second place in Austria. Click here for goosebumps. 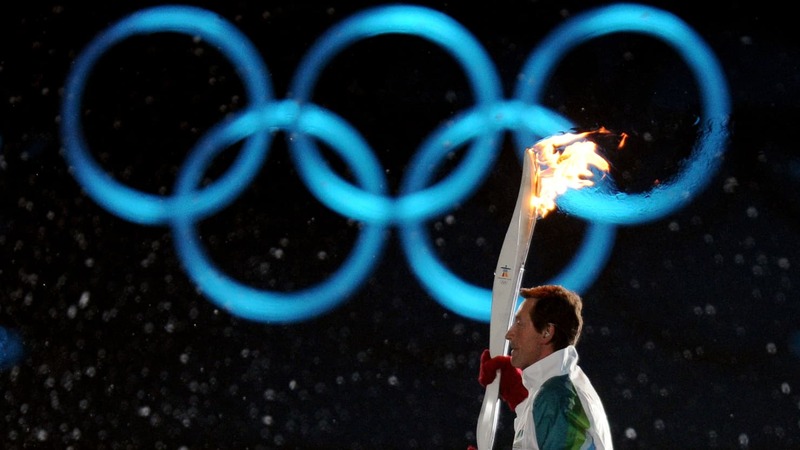 He likes the icy conditions that could occur at what is the coldest ever Winter Olympics. GB Curling Teams – Great Britain’s long tradition of curling success could potentially continue with the men’s and women’s team looking set to emulate their performances in Sochi 2014. Eve Muirhead returns to Skip the women’s team and hopes to go one better than her silver in Sochi and Kyle Smith is the men’s skip. These are just the top medal contenders, and by the look of the talent above there is a huge chance of Great Britain having its most successful games – with the target of five medals easily reachable. There is also a whole host of other Team GB athletes competing – so get your Union Jacks out and at the ready. Cool Runnings, Eddie the Eagle and the Miracle on Ice. All of these are etched into Winter Olympic folklore. The event allows incredible stories to shine through and the Olympic spirit is put on show for the world to see. Well I hope this was some help. This, of course, is very limited, and in no way expresses the true spectrum that the Winter Olympics offers. But like I said at the start, my number one tip for enjoyment is to have an open mind and watch something you have never watched before. Iain will be writing throughout the Olympics so keep up to date with my thoughts, feelings and analysis of all the action from Pyeongchang on ENRG Sport.